Sharjah Airport Authority (SAA) has started to implement new baggage rules at Sharjah Airport. As per the new baggage policy, the airport will not accept bags that might disrupt the systems. 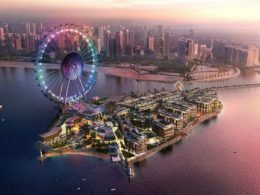 The new rules, which will include luggage specifications, will boost operational performance, reduce improper baggage handling and enhance the airport’s competitiveness in the region. Bags should be 75cm high, 60cm wide and 90cm long, with at least one level surface. 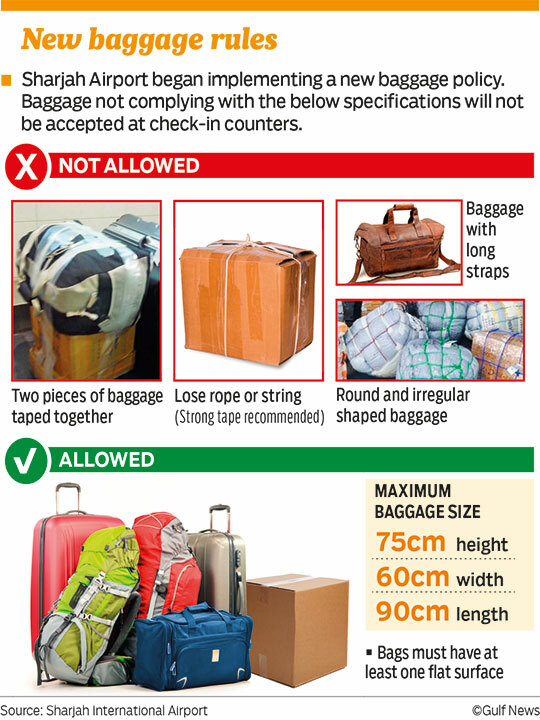 Non-compliant baggage, such as two items wrapped together, will not be accepted at the arrival point, either directly or through Sharjah Aviation Services. Baggage that exceeds these specifications can be taken to the desk for oversized baggage. 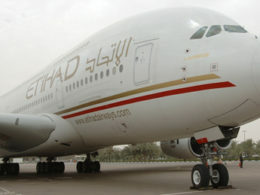 It will be processed based on the airline’s weight allowance and on prior arrangements with Sharjah Aviation Services. SAA notified the representatives of all airlines operating at Sharjah Airport about the new policy and informed them that the airport will not accept any baggage that does not comply with its new policy. SAA will post information about the new rules on its official website. In conjunction with the launch of its new identity, Sharjah Airport aims to boost service efficiency, including baggage transport services. In order to provide passengers with a comfortable experience, SAA said it has also taken the initiative of providing a service that involves transferring the content of rejected baggage into cardboard boxes for a small fee. Sharjah Airport is handling a growing number of bags, with a comparison between the number of bags handled in the first halves of 2017 and 2018 showing an increase of over five per cent.